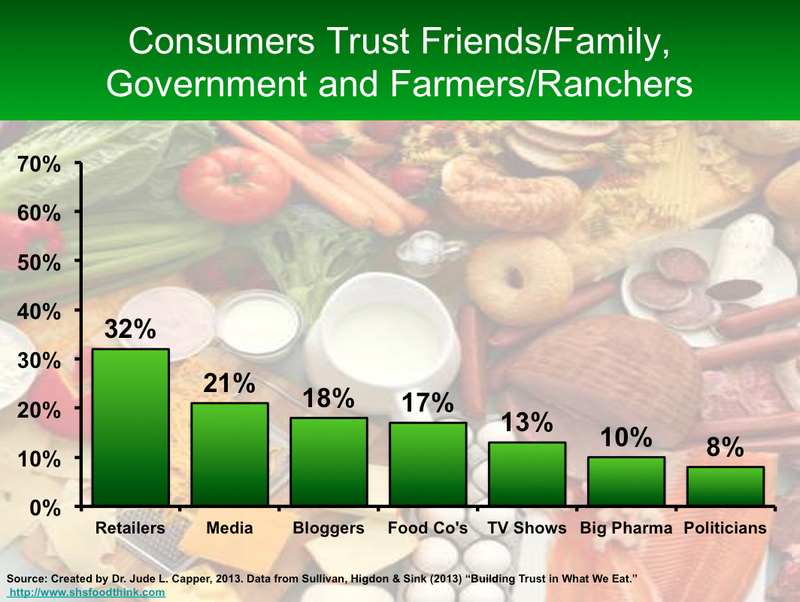 ← Scare Tactics – Why Do So Many “Public Health Experts” Promote Fear vs. Food? 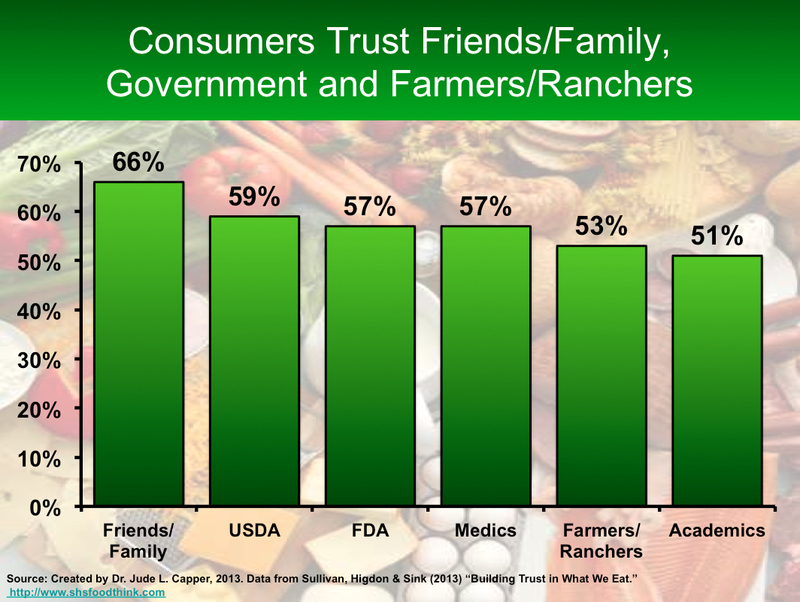 This entry was posted in Beef, Cattle, Children, Consumer, Credibility, Food and Nutrition, Meat, Pregnancy, Science, Trust and tagged Beef, Children, Connection, Consumer, Conversation, Friends, Meat, Misinformation, Oprah, Politician, Pregnancy, Social Media, Trust. Bookmark the permalink. Great points! Thanks for addressing this! I sometimes find myself put in the same position. The first time it happened, I was taken aback – this really happens still in this day and age? (Prior to that apparently I was living in a bubble). This is great timing on your post today as Yahoo News is carrying a story about a pregnant woman who is continuing an extreme raw food diet during her pregnancy. Did you see it? I didn’t… but now I’m instantly searching Yahoo for it! Good grief, I do wonder what makes people do that kind of thing. The health of my baby is so important to me! Ha, I think a lot of us are in that same bubble – we only notice it when somebody decides to burst it! Jude, you are completely right. Trent Loos asked me in an interview a couple weeks ago if I’ve had much contact with the “mommy blogger” and my answer was no. I am now married (another step up in street cred) but we do not have children yet. I often find that my voices doesn’t carry as far as those that have had children. Now that doesn’t mean it can’t happen. Meg from Beef in a Jar and Dairy Carrie are certainly heard loud and clear. For now I continue to focus on those young women, business professional, “too busy chasing our goals to have babies” ladies. Congrats on your new little one. Thank you!! I am so excited to be “gaining credibility” in such a fun way. You make a great point – so many people don’t have kids yet, we need to connect with them too. Takes a village to…. communicate with the consumer? 😉 I am so happy to call Megan and Carrie friends too – they rock!! Jude, CONGRATULATIONS! I would have stabbed Dr. S with the pencil if I was there. Credible sources come from a wealth of experiences and numerous different walks of life. As a mom of three and two that wear pink boots (we can come to Montana and share our collection of pink for your baby), I purposely try to connect with non-ag bloggers in my same stage of life. But my mom is a 55+ age female blogging and she connects with readers in her stage of life and numerous other age demographics. I think varying your content helps to connect with various demographics. Thanks for highlighting this and my blog! I am honored to be mentioned. To be honest Katie, I was laughing when he said it because I knew the logic behind it, but I was so amused that he didn’t bother to explain it! I totally agree – there’s no one-size-fits-all “expert” – we can all connect with our own section of the population – just got to define it, and share our message as our lives change over time. I’ve certainly had fun educating my little nieces till now – and now will have a little pink-booted (they rock, don’t they?!) cowgirl agvocate to raise! I’d love to, thanks Holly! Totally great approach – we can communicate so much better when we know who our target audience is! I’m one of the IL Field Moms Holly is talking about…found you through Holly on Facebook. I have learned so much through this program and have been able to share what I’ve learned with other moms. We really are the ones who think about what is in the food we eat! But we’ve also been fed a lot of misinformation about through advertising, etc., especially those of us who live in an urban setting. I’m so glad I found your blog, and am exciting about continuing to learn more about agriculture and our food supply! Thanks Ginny! Glad to connect with you! 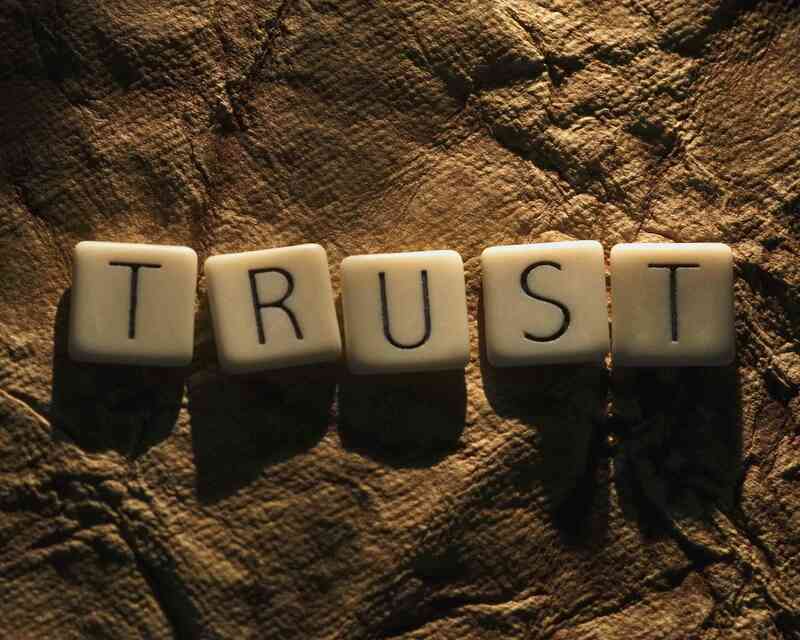 I think it is about building trust and some people build trust one way while others do it another way. More and more we are finding people who don’t simply trust the numbers. They trust the people they know and the people who are like them. I’m not a mom, but I make a dang good aunt and can talk about nieces & nephews in the light that allows me to connect with moms. I think men can connect too, they just have to try to connect with women on the topics that interest women. Wearing a lab coat and saying “because that’s what the data says” doesn’t work — look at that show Bones, that woman doesn’t connect! But a real person talking about how you take you kids to soccer each week and know you need them to have the energy to run and play hard, that gets you a spot in the conversation with moms. 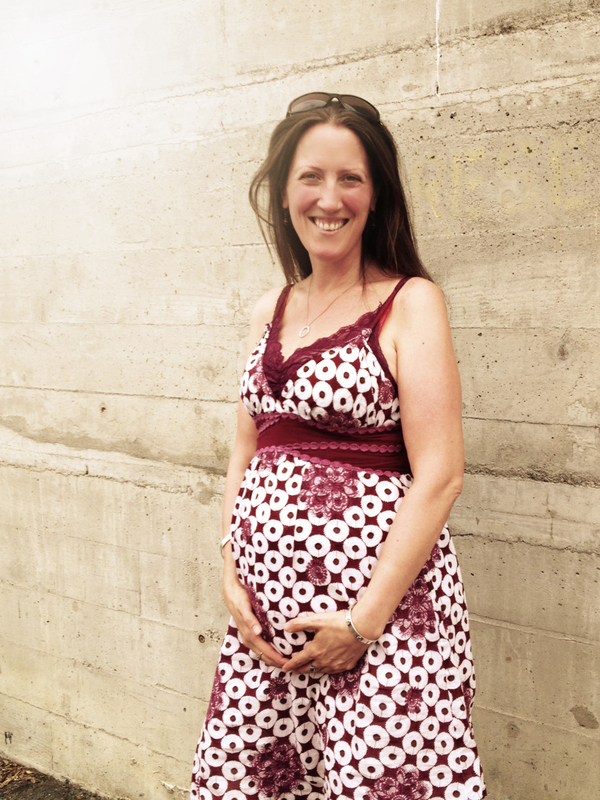 Happy to see the bump is doing well… can’t wait to see the first pair of boots! JP, you are spot-on, as ever!! FYI, you are (and have been since our first media training session) my communications heroine! So yep, darn good at making that connection with so many people! Watch this space for the pink boot pics! Thanks so much for including my blog. I agree that women have a bit of an “inside track” relative to establishing relationships with female consumers. I think that one of the things that allows for moms to connect is the fact that they share the same passion (motherhood) even though their daily lives go different directions. There exists a comradarie amongst moms that works to unify and build trust. Thanks Anne! Yes, very excited to be a Momma in January! I totally agree – while we all have so many differences in our lives, one thing that unites parents is the desire to do a great job in raising our kids. We have so many opportunities to connect! Pingback: What to eat for diner when you can’t remember what a grocery store looks like. | The Adventures of Dairy Carrie... I think I Need a Drink!